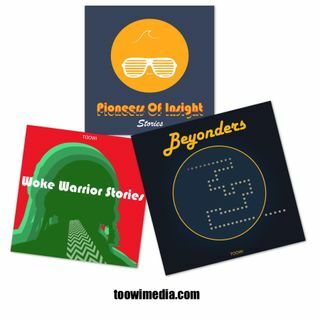 TOOWi Media creates movie-for-the-ears podcasts around epic life stories. A movie-like podcast which deep dives epic origin stories. Learn about the wipeouts, crackups, and recoveries of artists, innovators, and do-gooder's, as well as elite warriors and outliers playing the edges. + What a journalist does when she hears the voice of God at a political conference in the Sinai desert. Our soundtracks feature indie artists and music is available for download on our website too. A vet turned therapist deep dives the life stories of spec forces operators up to good on the cool side of struggle.